15,000 sq. 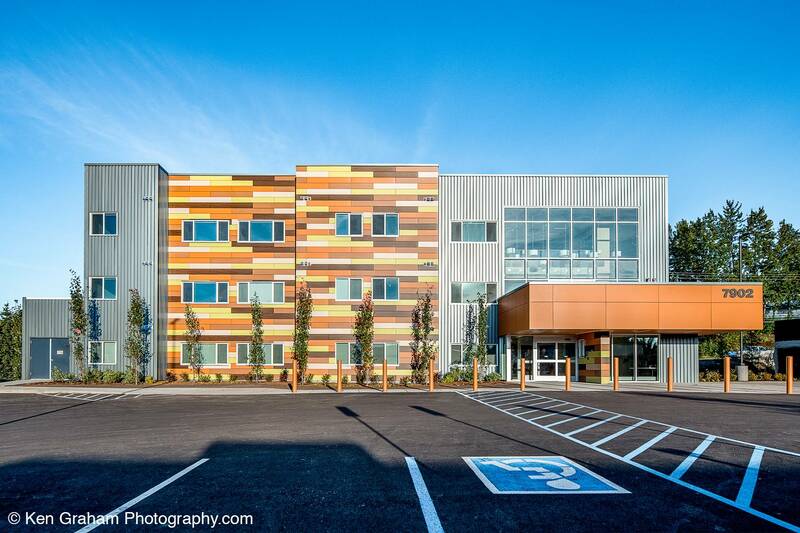 ft. of Stonewood Architectural Panels adorn Alaska Village Senior Housing, a three-story building with 56 senior and family residential units in Anchorage, AK. The building features a stunning Stonewood Panel façade that nods to mid-century architecture. Panels were cut as planks and installed in an eye-catching ‘woven’ pattern, creating a bold first impression for the main entrance. Warm woodgrain and abstract designs were used to playfully contrast the solid orange and yellow accent panels, elevating the stark modernity of the structure. 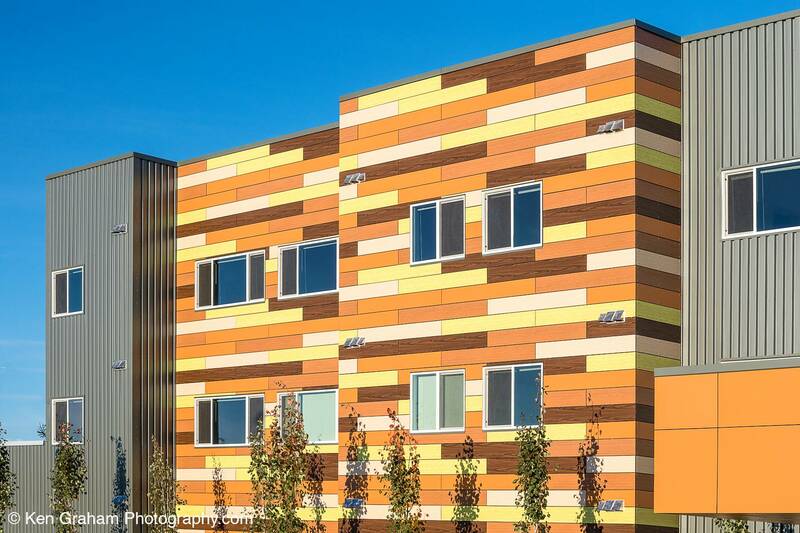 Architects chose Stonewood Panels due to the ease of ordering, product durability, and short lead time–all of which helped the project stay within budget and ahead of the design curve. 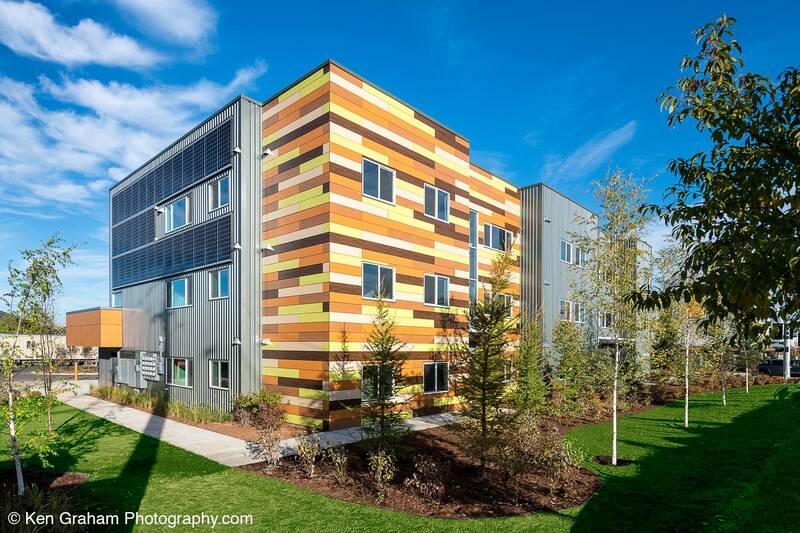 The Senior Housing is slated for completion Fall 2019 and will feature mixed-use facilities, including sitework and alternative energy systems.